Recently, two student writing entries, from grades 12 and 10, were selected for the Central West Virginia Writing Project competition, commonly known as the Young Writers Contest. The students were Jacob Tallamy and Zackery Toler, respectively. The contest has been hosted by Marshall University for the past 35 years. At high school levels, there are two divisions: grades nine through ten and grades eleven through twelve. Including basic criteria such as appropriateness, the ninth and tenth grade division was limited to 1,000 words in a submission, whereas grades eleven and twelve were restricted to a maximum word count of 1,200. English teachers from every school are notified of the deadline and determine which written works meet the guidelines and are of best quality. High schools may enter two works into the county competition. Mrs. Tucker, one of the 12th grade English teachers, was the coordinator of this year’s school contest. “We look for creativity, cohesion, and an impressive vocabulary,” stated Mrs. Tucker regarding what the English teachers sought after in a writing entry. 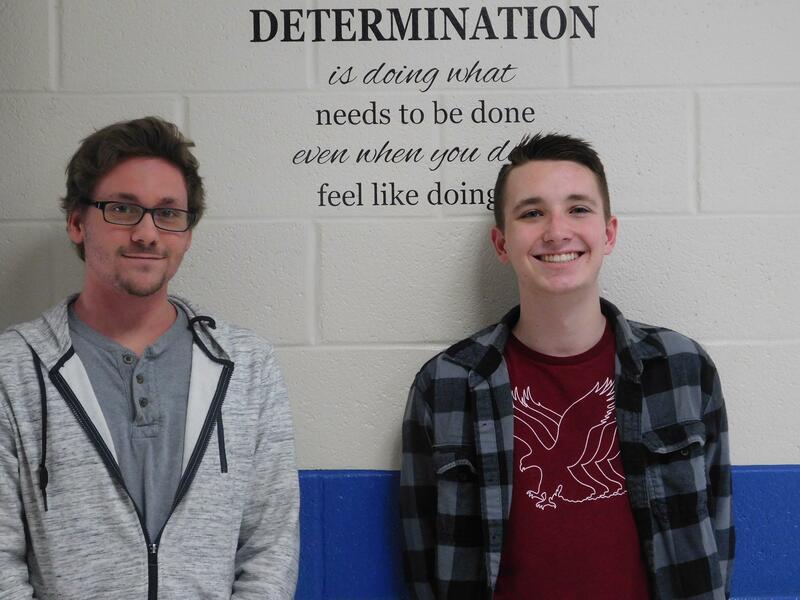 Upon being nominated to represent the school with their works, Zack Toler and Jacob Tallamy’s submissions were sent in for the county competition, where Toler stole the third-place spot and Tallamy snagged the first-place accolade. After he received news of his accomplishment, Zack Toler thought,” Oh, that’s pretty neat!” Toler’s work was originally written as an assignment in his Pre-AP English class. “We had to pick an event that happened before we were born and find a first-person account to write from. This type of paper is called a historical narrative,” Toler explained.